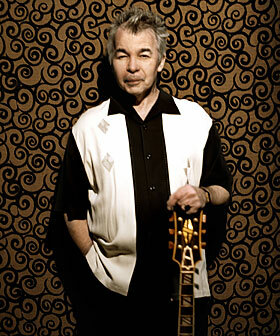 An acclaimed singer-songwriter whose literate work flirted with everything from acoustic folk to rockabilly to straight-ahead country, John Prine was born Oct. 10, 1946 in Maywood, Ill. Raised by parents firmly rooted in their rural Kentucky background, at age 14 Prine began learning to play the guitar from his older brother while taking inspiration from his grandfather, who had played with Merle Travis. After a two-year tenure in the U.S. Army, Prine became a fixture on the Chicago folk music scene in the late 1960s, befriending another young performer named Steve Goodman. 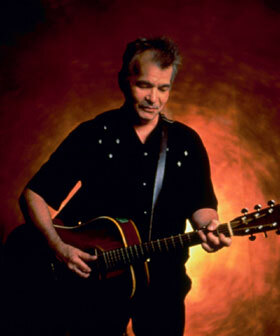 Prine's compositions caught the ear of Kris Kristofferson, who was instrumental in helping him win a recording contract. In 1971, he went to Memphis to record his eponymously-titled debut album. Although not a commercial success, songs like "Sam Stone," the harsh tale of a drug-addled Vietnam veteran, won critical approval. Neither 1972's Diamonds in the Rough nor 1973's Sweet Revenge fared any better on the charts, but Prine's work won great renown among his fellow performers. The Everly Brothers covered his song "Paradise," while both Bette Midler and Joan Baez offered renditions of "Hello in There." For 1975's Common Sense, Prine turned to producer Steve Cropper, the highly-influential house guitarist for the Stax label. While the album's sound shocked the folk community with its reliance on husky vocals and booming drums, it served notice that Prine was not an artist whose work could be pigeonholed, and was his only LP to reach the U.S. Top 100. Steve Goodman took over the reins for 1978's folky Bruised Orange, but on 1979's Pink Cadillac, Prine took another left turn, and recorded an electric rockabilly workout produced at Sun Studios by the label's legendary founder Sam Phillips and his son Knox. Following 1980's Storm Windows, he formed his own label, Oh Boy Records, to release 1984's Aimless Love. 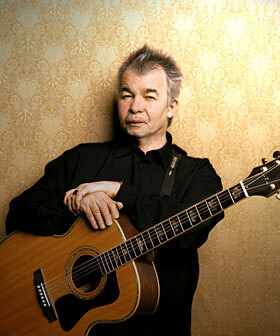 Under his own imprint, Prine's music thrived, as 1986's country-flavored German Afternoons earned a Grammy nomination in the contemporary folk category. 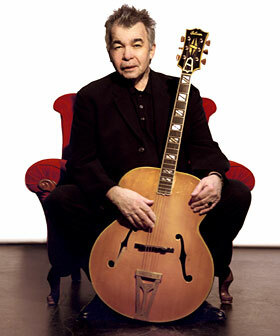 After 1988's John Prine Live, he released 1991's Grammy-winning The Missing Years, his most successful outing to date. The album featured guest appearances from Bruce Springsteen, Bonnie Raitt and Tom Petty. 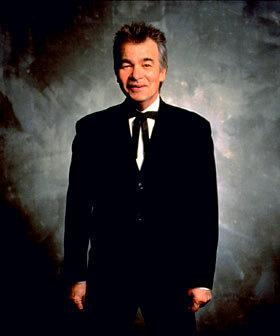 After making his film debut in 1992's John Mellencamp-directed Falling From Grace, Prine returned in 1995 with Lost Dogs and Mixed Blessings. Lucky 13 followed three years later, with In Spite of Ourselves appearing in 1999 and Souvenirs in 2000. An album of all-new material, Fair and Square, was released in 2005.